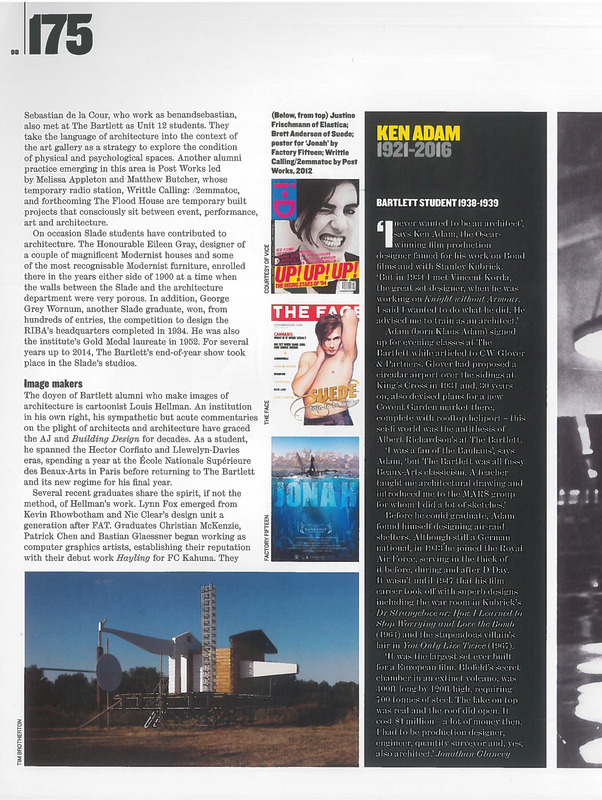 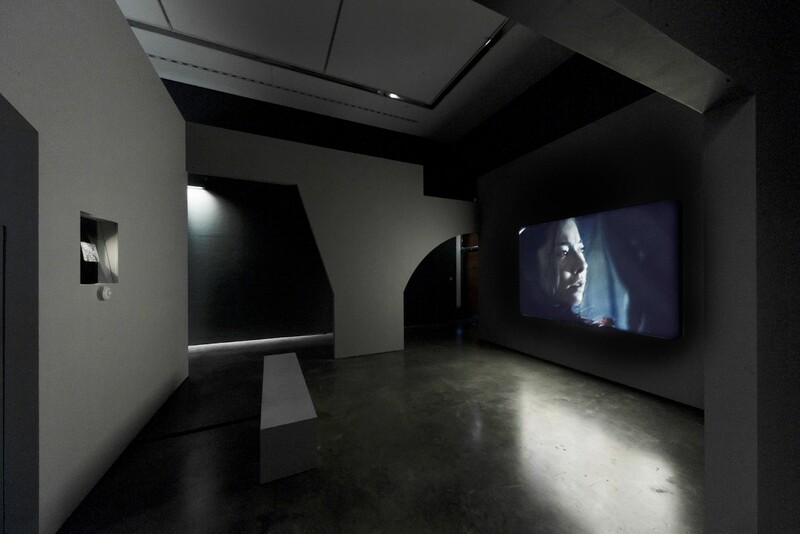 The exhibition design was commissioned to house a series of films by artist Daria Martin, for her survey exhibition at MK Gallery, Milton Keynes (20 January – 8 April 2012). 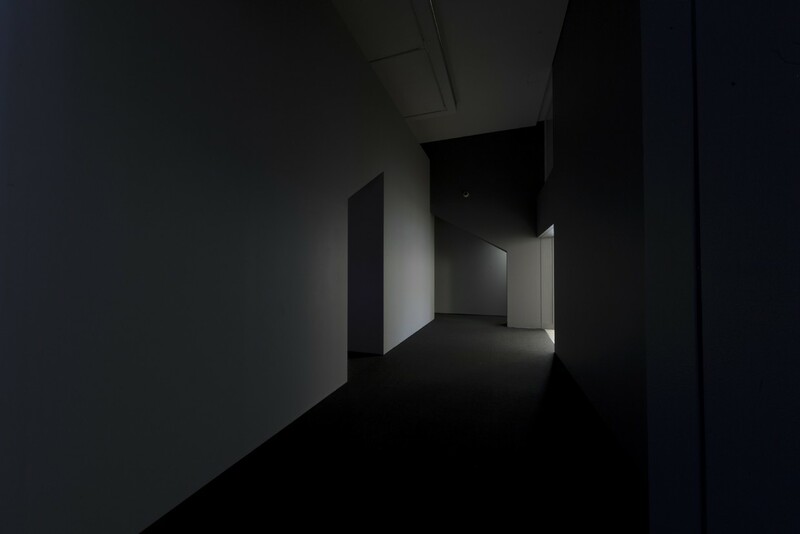 The installation consisted of two kinds of environment for experiencing the four film works that were on show in the gallery. 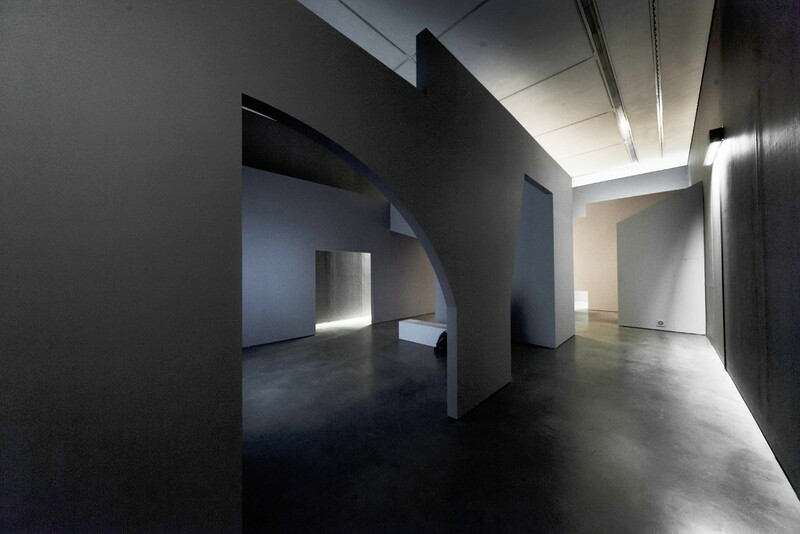 For MK Gallery’s two smaller rooms more traditional viewing environments were created to reflect the hermetic laboratory settings of the works being shown there. 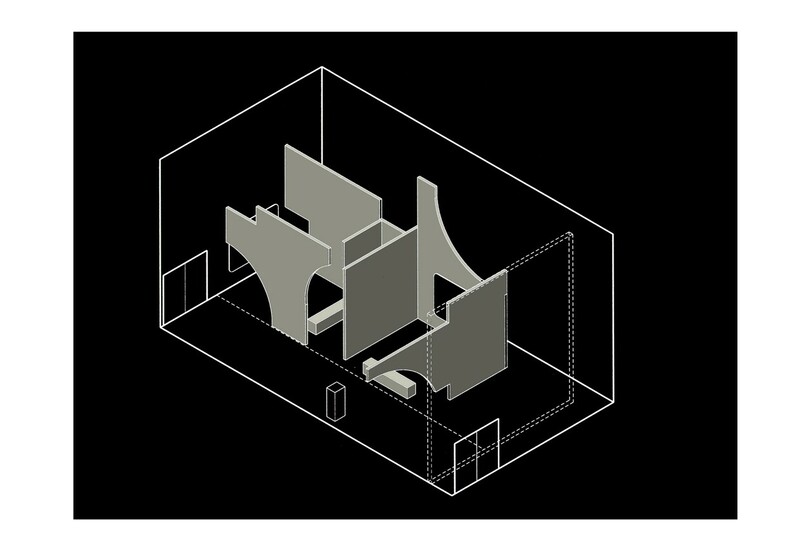 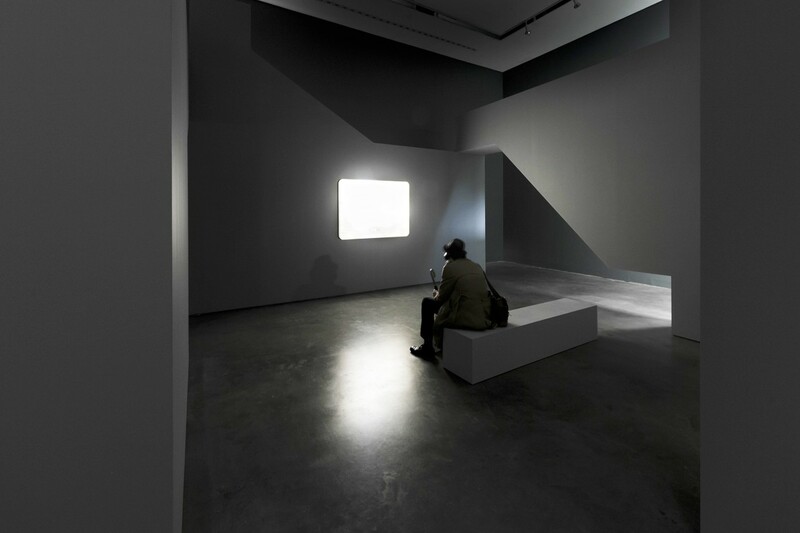 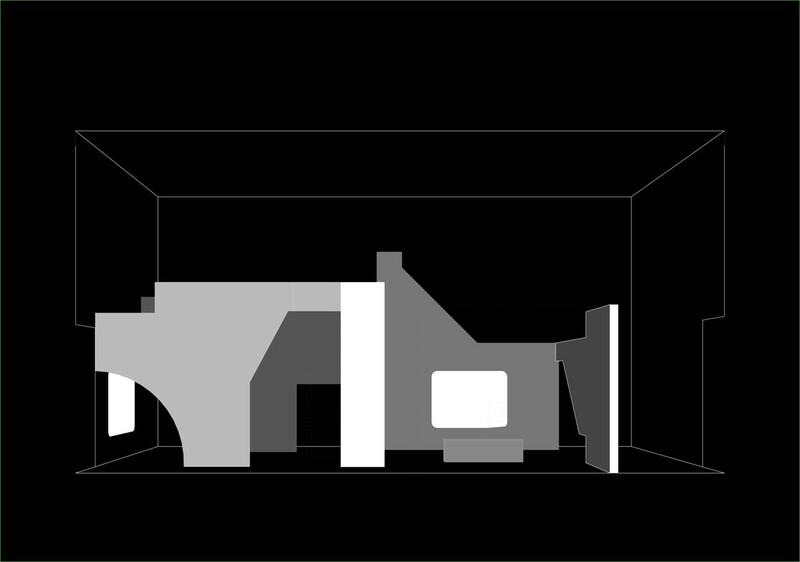 In the larger gallery space, a dynamic environment allows visitors free movement between a series of projection rooms.